MILTON, January 22, 2018 – The United States Harness Writers Association (USHWA) announced Tuesday their 2018 Media Award winners with Woodbine Entertainment taking home hardware in a pair of categories. 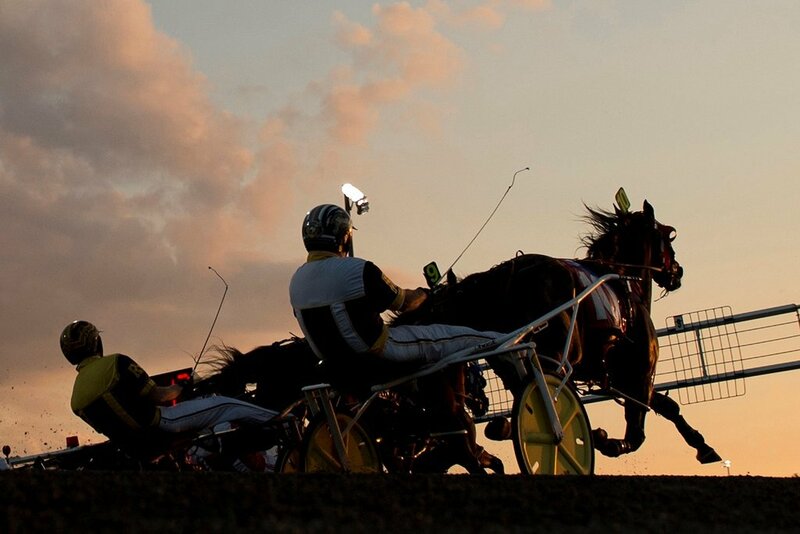 Longtime Woodbine photographer Michael Burns won the George Smallsreed Award for photography (feature category) for his photograph of pacers behind the starting gate, which appeared on WoodbineMohawkPark.com on October 18. Burns is a two-time Smallsreed recipient. Michael Burns award-winning photo taken at Mohawk Park. Clive Cohen, track photographer at Mohawk Park, received honourable mention in the feature category. Woodbine’s broadcast team was selected as the winner of this year’s Sam McKee Award for broadcast excellence. The award-winning piece was a feature on three-year-old pacer Lather Up, which appeared as part of the June 16 Pepsi North America Cup coverage on TSN. The story was written and produced by Phil McSween for the NA Cup special produced by Kris Platts. It was narrated by Paul Salvalaggio and edited by Jason Vanderzee. The camera operators were David Syrie and Gage Fletcher. The win gave Woodbine its third award in the broadcast division. The winners will be recognized at the Dan Patch Awards banquet on February 24 at Rosen Shingle Creek resort in Orlando. This entry was posted in Mohawk Insider and tagged Awards, Michael Burns, Woodbine Broadcast. Bookmark the permalink.